The European Physical Journal A (Springer) sponsored four young scientist awards with a certificate and 300 Euro each. The awards were given for the best presentations and posters on theoretical and experimental topics. The prizes were for scientists in the early phase of their career. Each presentation and poster were evaluated for the excellence of the work, the innovation in the methods and the didactic quality of the presentation or poster by a committee consisting of IAC members. The four young scientist prizes were awarded to the best parallel talk and poster presenters: Heidi Schuldes (Goethe University Frankfurt, Germany), Christian Bierlich (Lund University, Sweden), Yingru Xu (Duke University, US) and Vojtech Pacik (Niels Bohr Institute, Denmark). Congratulations! 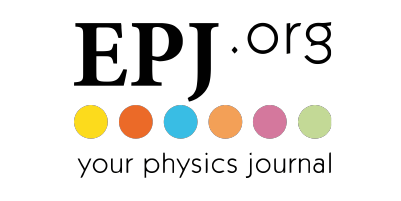 We are grateful to the support from EPJ.